Leukemia Fighter! (CML); I Am Dancing and Traveling My Way Through: CT Scan and a Hug from Above! Mom, in the middle of crazies!! 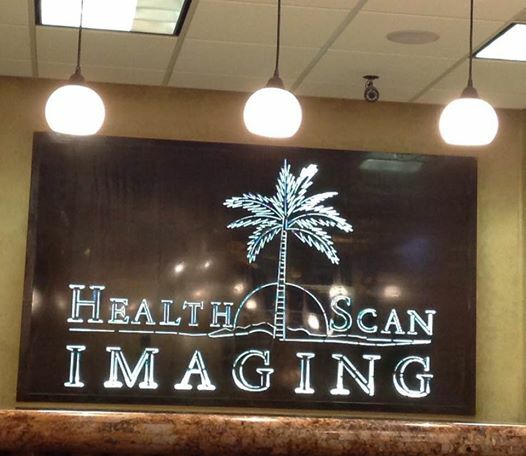 I guess my end of year health tests would not be complete without a CT scan. For some strange reason, my CA 125 will just not get into the normal range, and since I have a history of borderline serous ovarian tumors, my gynecological oncologist feels that a CT scan is in order; due to my continuing headaches, he is going to scan my brain, too. Of course these scans must be done both with and without contrast, so that means it will be a two day process. Now, after all of the running from here to there, to visit kids, grand-kids, mother and father, sisters and brothers, Joe and I were really looking forward to spending a few days of down time, in Palm Springs. It is always our hope to just take a hike into the canyons, or to sit at the pool and relax. Of course, this just NEVER happens! This trip we have been here 3 times and every single time I have had a medical appointment of one type or another; everything from blood draws, to mammograms. Now we must add two days of CT scans. Trying to schedule a CT scan at the last minute is not always easy, fortunately I have been going to the same imaging center for over fifteen years, and they know my circumstance, and work really hard to accommodate me. I managed to get two appointments before we were heading to Phoenix, and luckily, the condos where we stay, are right down the road. One of the issues with these CT scans, is the contrast that you have to drink to prepare for the scan. 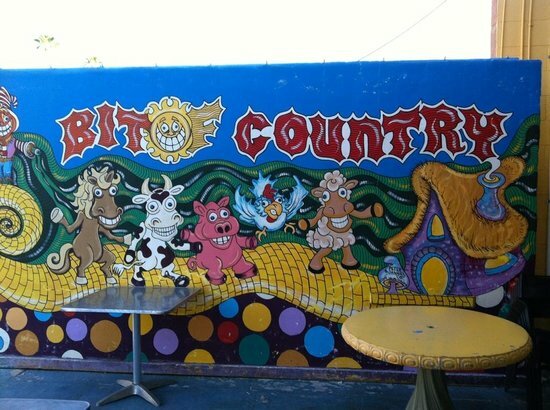 Not only does it taste terrible, it often causes severe stomach upset, cramps and diarrhea; so much fun! I told him that I was aware that it was there and was planning to have it drained when I got back home. I explained to him that this was a recurring side effect to the medication that I take to control my chronic mylogenous leukemia. He said he was really sorry, and that he would see me the next day. Upon leaving the office, I knew that Joe must be starving. 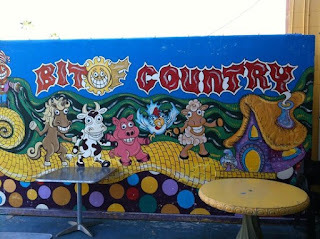 Despite being nauseous, I suggested that we go to our favorite breakfast/lunch spot in Palm Springs; "Bit O' Country," so that he could get a bite to eat. While we were there, I decided to have a piece of toast and an egg. While trying to force down some food, all I could think about was that I wanted my mother! I was worried and nervous about my test results and I didn't feel good and I wanted my Mom. It has been just two years since she passed away, and since she lived in the Palm Springs area, there are reminders everywhere, that she is no longer here. While we were sitting in our booth, just finishing up our brunch, the owner of the cafe asked us if we would like to have some rice pudding, he said "no charge" my dad just made up a batch in the back, and I would like to give you some. What he did not know was how crappy I was feeling, and how much I missed my mother, and that whenever I felt crappy, my mother ALWAYS made me a big bowl of rice pudding! I quickly sat up, my eyes wide and said YES! I would LOVE some rice pudding. I told Joe about my mom and rice pudding and wondered out loud whether the rice pudding would be like my mothers, or not. 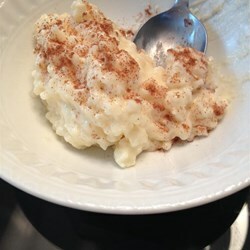 I swear, in all of my years of eating rice pudding, that no one made rice pudding like my mother; not sticky and not too sweet. Tony brought us two bowls of pudding and it looked just like mom's; not only did it look just like mom;s, it tasted just like mom's! I swear it felt like my mother had sent me this bowl of rice pudding, just to let me know that she is always with me. Rice pudding is not on the menu at Bit O, and never before, in all of the times that we have been there, have we been offered rice pudding! I told Tony my story, and he said that he believed in signs and was so glad that he was the vessel used, to bring me this sign of love, from my mother. It was rather remarkable and while I was a teary eyed mess for the rest of the day, I had never been so grateful for a simple bowl of rice pudding! Wow, that is a fabulous story.